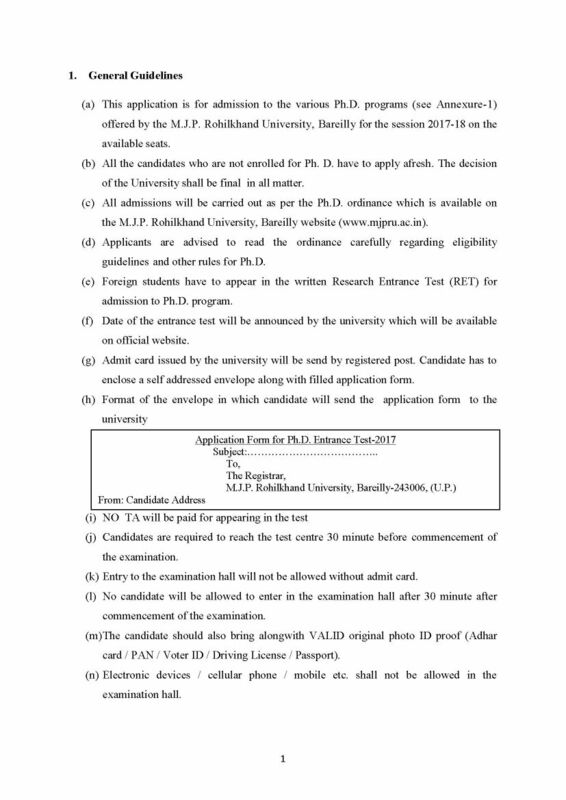 Is the MJP Rohilkhand University (MJPRU) conducted CET Entrance Test for admission in Ph.D Program? 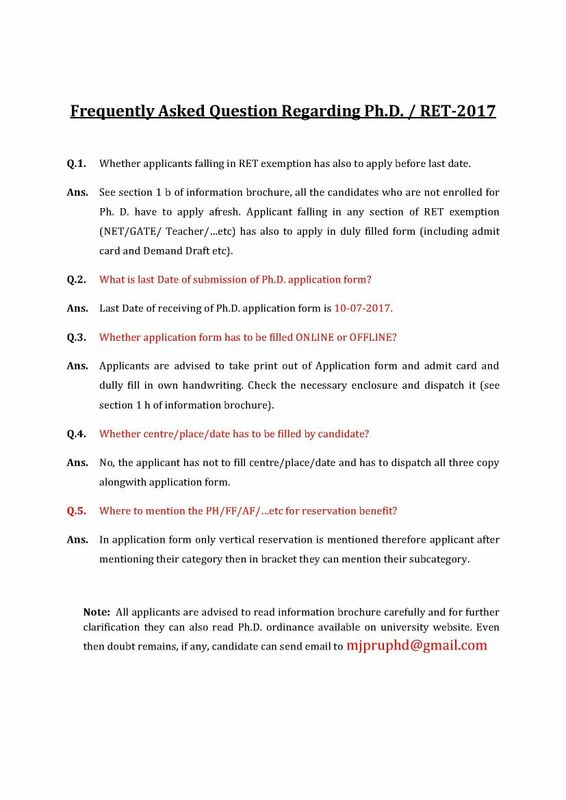 If yes, so tell me about eligibility criteria required for admission in Ph.D Program at MJP Rohilkhand University (MJPRU) through CET Entrance Test? 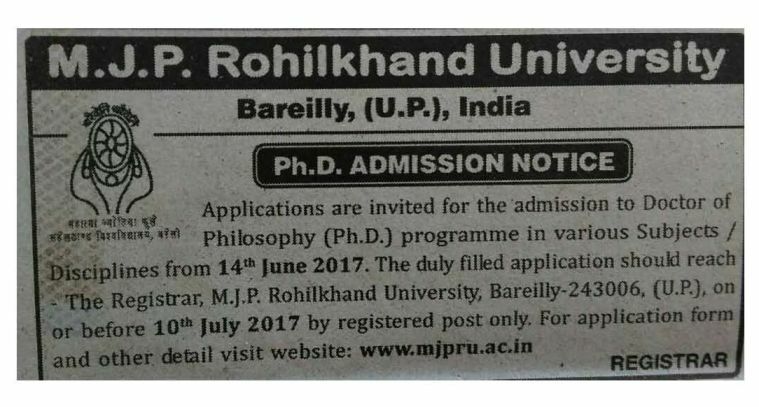 The MJP Rohilkhand University (MJPRU) was established in 1975. The University is approved by University Grants Commission (UGC). It offers Under Graduate, Post Graduate and Research (Ph.D) Programs in several disciplines. The University conducts Entrance Exam for admission in Ph.D Program. 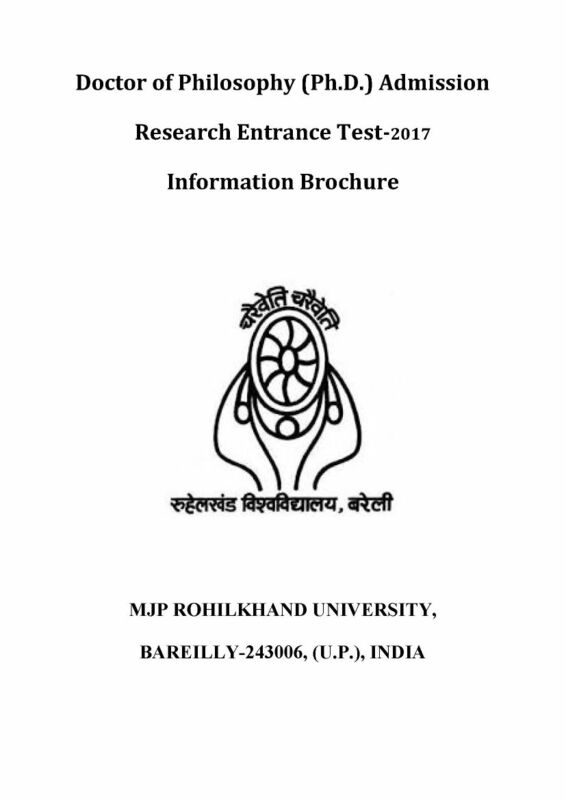 The Entrance Exam called as Research Entrance Test (RET). Students having post-graduate degree from UGC approved â€˜Integrated Courseâ€™ with minimum 55% marks may also apply for admission to Ph. D. program. The syllabus of RET same as prescribed for NET/JRF examinations. Pilibhit Bye pass road Bareilly 243006, (U.P.) India. All times are GMT +5.5. The time now is 03:35 AM.